1. "What do you wanna do/eat?" "Anything..."
Ever since I started using Sugar, I have replaced my answer to this question with "Let's check Sugar!" With more than 500 merchants to choose from, Singapore will NO LONGER be boring because you can find practically anything and everything at your fingertips! Your friends will thank you for sharing such an encyclopedic app, really. Champagne at $3.20, $5 concert tickets – all sweet incentives to check out new places! Sugar's unique price-skimming function allows you to reduce prices by $0.20 to $1.00. You can also get your friends to help you skim prices to reduce them even more! The catch is there's only one of each item available each day. But don’t fret – if it’s sold out, just try again tomorrow! 3. Want to encourage the owner? Leave a comment on the merchant's page! Some places provide really good and friendly service that deserves a shoutout! The app allows you to write a quick review of the place, or even specific items, and these reviews also help other users learn about all the interesting merchants out there! There are so many different activities you can try with Sugar — art jamming, playing the piano, strumming the guitar, prison breakout games, even indulging in an "Art of tea workshop"... You can also learn to cook or attend drumming classes if you're looking to pick up new skills. 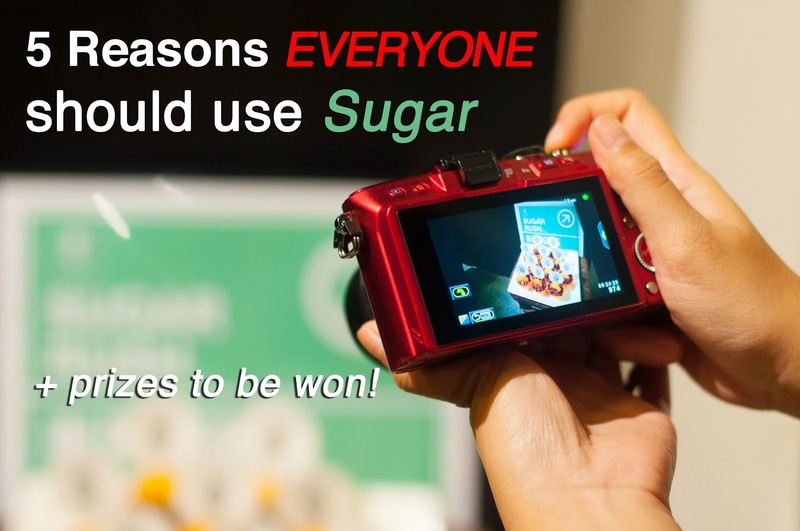 Rediscover yourself with Sugar! 5. Giveaways + contests for you to WIN! 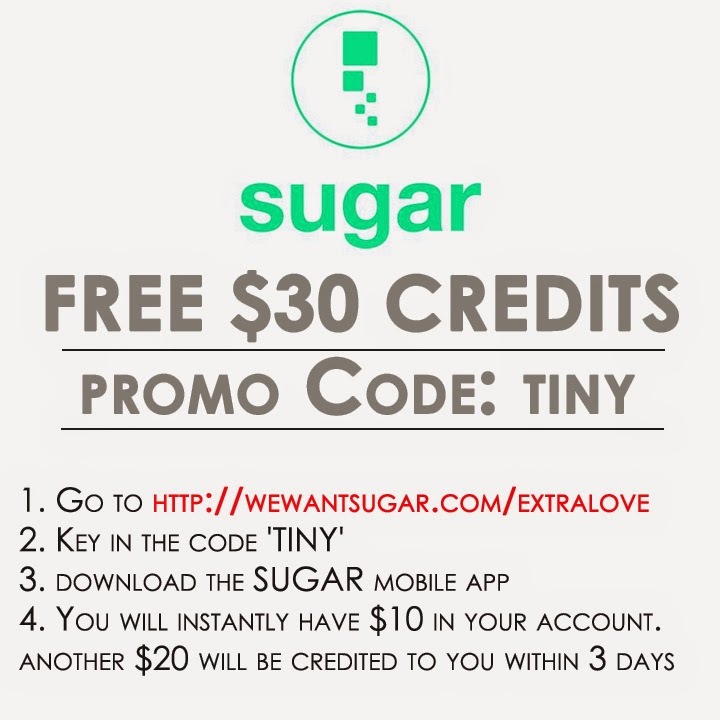 Sugar is currently giving out a total of $30 credits for you to test it out! You also stand to win a pair of Super Junior tickets. Just follow these steps to redeem and win! (b) WIN a pair of Super Junior Tickets + a YEAR of Appetisers! To win Super Junior tickets AND/OR a year's worth of appetisers from Scrumptious At The Turf, you must first complete step (a)! Then proceed to select the item(s) as shown above. Spread the news — share this revolutionary app with your friends!